Slippery elm (Ulmus fulva) is a supplement that is made from the powdered bark of the slippery elm tree. It has long been used by Native Americans to treat cough, diarrhea, and other gastrointestinal complaints. A salve made from the slippery elm also can be used topically to treat burns, wounds and skin irritations. 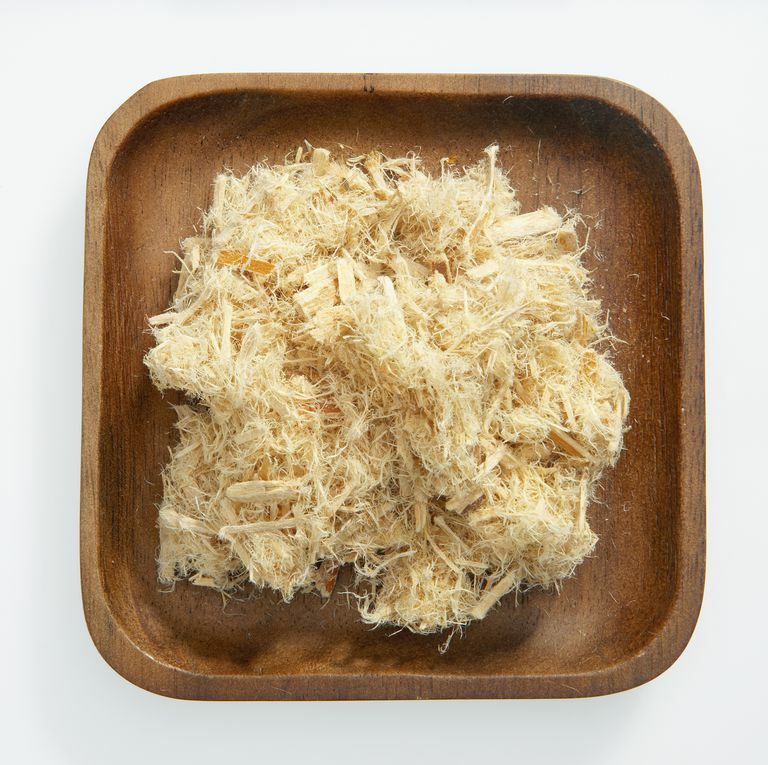 Slippery elm has been studied for use as a supplement for inflammatory bowel disease (IBD), but not extensively, and not enough to draw any conclusions. It's common for people with IBD to look for alternative and natural treatments for the symptoms, especially diarrhea. However, as is the case with many alternative treatments, there just isn't enough evidence to say if a treatment will actually help or not. There's a temptation to just "try it and see," but this could result in wasted money or even in unintended side effects. Slippery elm is thought to have anti-inflammatory and antioxidant properties, but there has not been a significant amount of research to support its use. A substance called mucilage (which exists in most plants) is found in higher than typical amounts in slippery elm. When taken orally, mucilage becomes slick and coats the mucous membranes in the intestinal tract, soothing inflammation and relieving pain. One study confirmed the antioxidant effects of slippery elm when used in patients with IBD, but the authors conclude that more studies are needed to confirm their results. Because there have been no large studies into the use of slippery elm as a treatment for IBD, there is not enough evidence to warrant its widespread use. There has also been a little research done to see if slippery elm is helpful for people who have irritable bowel syndrome (IBS). It is not approved by the FDA to treat IBS, either, but there was one study that showed it might help with diarrhea-predominant IBS. Slippery elm may slow down the digestive process. This could prevent the proper absorption of some drugs or of other herbs and supplements. It is recommended that slippery elm be taken 2 hours before or after taking other herbs. Slowing down the digestive process could be harmful for people who have various digestive conditions that cause constipation or delayed gastric emptying. Slippery elm is not thought to interact with any drugs, but this is not known for sure. Always tell your health care team about any herbs or supplements you are taking, in case there might be interactions. As with any drug or supplement, there is always a chance of an allergic reaction. Slippery elm should be avoided by anyone who has a known allergy to slippery elm or other plants in the Ulmaceae family. An allergic skin rash has been seen when slippery elm is used topically, but this is considered unusual. Slippery elm has not been studied extensively in women who are pregnant or breastfeeding. It is not thought to have any adverse effects, but it is not proven to be harmless, either. Tell your doctor if you are pregnant or breastfeeding and have taken or are thinking about taking slippery elm. Even though slippery elm has been used for many years in North America, it is not currently approved in the U.S. to treat any condition. Aside from the one study that looked at the use of slippery elm in people with IBD, there hasn't been any research to give more information. Tell your doctor if you are considering the use of slippery elm, or if you are currently taking slippery elm. Hawrelak JA, Myers SP. "Effects of two natural medicine formulations on irritable bowel syndrome symptoms: a pilot study." J Altern Complement Med. 2010 Oct;16:1065-1071. Langmead L, Dawson C, Hawkins C, Banna N, Loo S, Rampton DS. "Antioxidant effects of herbal therapies used by patients with inflammatory bowel disease: an in vitro study." Alimentary Pharmacology & Therapeutics Feb 2002;16:197-205. Should People With IBD Take Fish Oil Supplements?